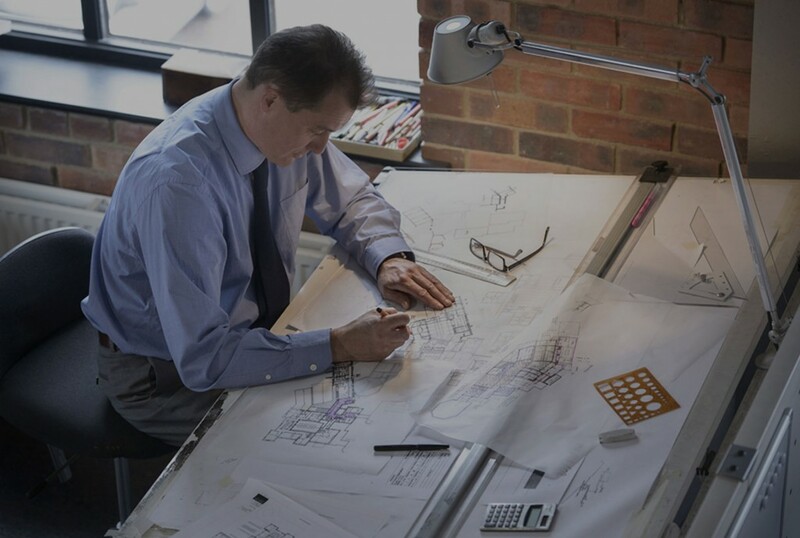 Based in Bradford and established in 1993, Halliday Clark Architects pride themselves at being able to combine design flair with commercial knowledge. Their old site was a flash based static site that was difficult and expensive to update. It suffered from poor performance in search engine visibility for key search terms. 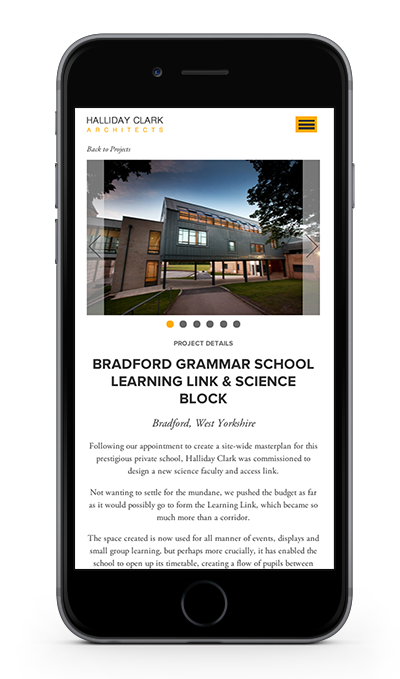 With the explosion of mobile browsing, responsive web design has gone from being a ‘nice to have’ to a prerequisite of every website. 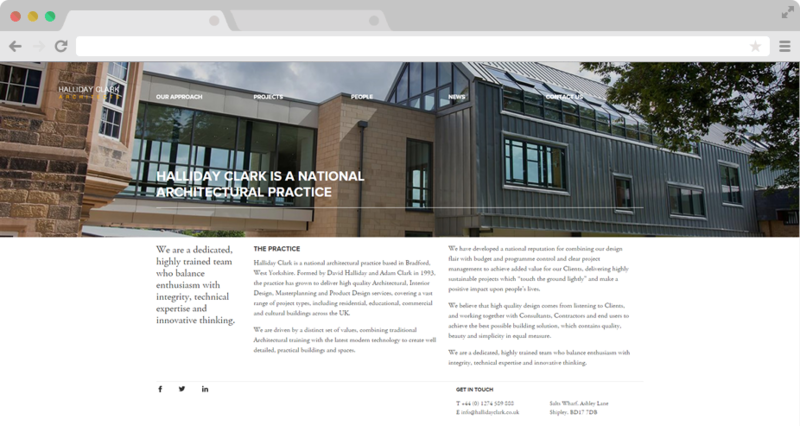 When developing the Halliday Clark Architects website we had mobile browsing in mind every step of the way. 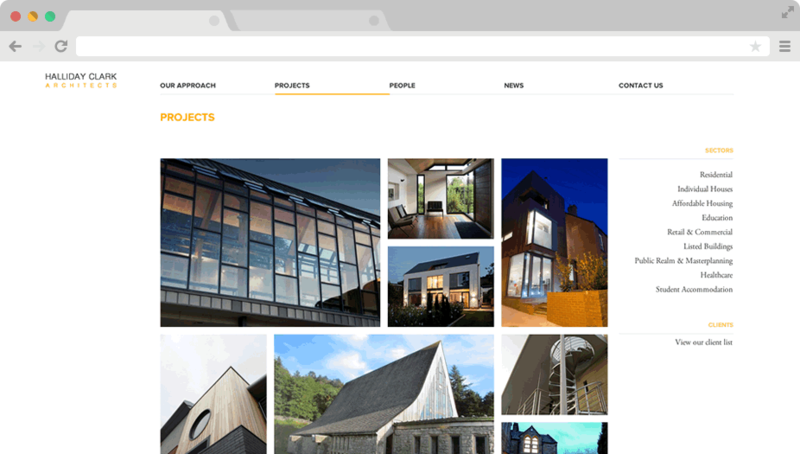 From our initial point of contact through to the completion of the website and beyond, Teabag have been nothing short of outstanding throughout the entire process. From the initial brief it was clear that Teabag were able to get into our frame of mind and quickly gain an understanding of who we are and ‘what we’re about’. As we were both on the same page from the outset of the project moving forward towards concepts and an initial design was a painless process, with some very impressive and innovative ideas brought to the table. Throughout the design and implementation of the website Teabag were extremely flexible and adaptive to any of our ideas and suggestions, no matter how insignificant they may have been, showing a great deal of patience along the way. The outcome is a website that we are very proud of and have received a great deal of positive feedback from our colleagues and clients as well as seen tangible positive results including an increase in our search rankings and increased traffic to the website. Overall we have been very impressed with Teabag and without hesitation would wholeheartedly recommend them to anybody considering their services.